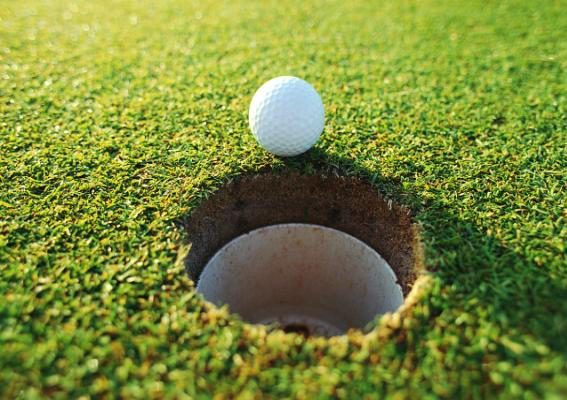 Ludlow Rotary cordially invites you to participate in their 12th Annual "FORE" THE STUDENTS Golf Tournament on June 17, 2019. All proceeds from the tournament will benefit the Ludlow Rotary Charitable Foundation Scholarships and Educational Programs. Please join other residents and business colleagues of Ludlow as we come together for the community. Download the brochure directly on website. For more information or to make a donation, please contact Tony Forzano at 413-519-4024. Join the Ludlow Rotary on Saturday, September 22nd to help Ludlow Police Officer Mike Whitney and his partner Max take a bite out of crime! This is our 13th Annual K-9 Poker Run starting at the Ludlow Fish & Game Club 200 Sportsman Road, Ludlow, MA 01056. Tickets are $20.00 per driver or rider and includes ride, dinner, entertainment and poker hand. There is a cash prize of $100 for the best poker hand. Registration begins at 9:30 am for a fantastic at your pace ride. In case of rain the ride will be cancelled and the party will begin at 3 pm. You do not need a motor cycle to attend. The general public is welcome. If you would like more information or want to help to sponsor this event, please contact Darlene Rae 413-531-6282, Kevin Vestal 413-563-9362 or Officer Mike Whitney at the Ludlow Police Department 583-8305. LUDLOW - The Ludlow Rotary Charitable Foundation Inc. and tournament sponsor Dunkin Donuts, will host its 11th Annual “Fore” The Students Golf Tournament on Monday June 18, 2018 at Westover Golf Course. Registration begins at 11 am with lunch to follow and shotgun start at 12 Noon. Cost per player is $90.00 and includes 18 holes of golf, cart rental, lunch and dinner. Dinner and raffle will be held at the Villa Rose Restaurant after the tournament ends. Proceeds from the tournament will go to benefit scholarships and educational programs in the community of Ludlow. 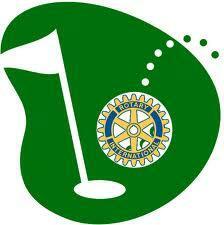 To participate in this year’s tournament please contact Tony Tavares at 413-547-6667 or any Rotarian. 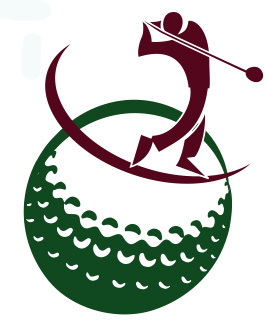 Sponsorship opportunities for the tournament are also available, from $100.00 to $1,000.00, and include twosome or foursome teams, tee signs with company name, varying depending on level of sponsorship. Please join tournament sponsors Dunkin Donuts, fellow residents, business colleagues and Ludlow Rotarians, as we come together for the communities students. Payments should be made payable to Ludlow Charitable Foundation and mailed to Ludlow Rotary PO BOX 155, Ludlow, MA 01056. I joined Ludlow Rotary because I was intrigued by the amazing work the club was doing in the community and internationally. By joining, it allowed me to be part of the community, not just a home owner. I enjoy getting to know and interacting with like-minded individuals and volunteering my time to providing services locally, nationally and internationally. After many years of personal involvement my commitment has only grown. I’ve had the opportunity to meet so many people and expand my friendships. Joining the Ludlow Rotary was the best decision I made in my professional life. Cocktails – 6 p.m. ~ Dinner – 7 p.m.
WOW...what a day we had. 85 degrees and not a cloud in the sky, made up for last year's rain and cold. We did have a great turn out for the event this year, 97 bikes left the Fish after a quick cup of coffee & donut provided by Dunkin Donuts of Ludlow. We encountered a small but scenic detour in Belchertown due to the fair, but that's ok...and head off to Honey Farms in Orange, MA via 202. Headed out 2W through Greenfield to Shelburne Falls. for a quick lunch stop at Pondside Pizza, but some ended up in North Adams, clearly, I need to teach them to read a map...lol. We then headed south on 112 to 116 S then picked up 47 W in Sunderland for our final stop at the North Hadley Sugar Shack & Market where they were all decked out for fall...my driver didn't have room for any mums or pumpkins in his bags. We arrived back at the Fish to the sounds of Dead Collective and another AMAZING meal by Kevin Vestal, Wally Stupak and the rest of the team working in the kitchen. We had some delicious side dishes donated by the likes of Europa Black Rock Bar & Grill, Abudanza Express, Randall's Farm & Greenhouse, Chmura's Bakery & Freedom Credit Union supplied us with a sweet treat. I need to give a huge THANK YOU to the Ludlow Fish & Game Club for the rental of the facility and Lori Dorval for mixing us some fine cocktails! You guys continue to go above & beyond! Now to the committee...Kevin-countless hours in the car planning and many great conversations as always are treasured. Kelli-amazing raffle organization. Zaneta-great emails promoting the event Deb-love the new solicitations, Jim, the new guy-way to step up and hit a home run! THANK YOU ALL FOR YOUR HELP!!!! I also want to mention a few last minute sponsorships that came in and didn't make the tees Precision Billet, Longriders, C. Lemek & Son Construction & the McBride Family and a few raffle prizes donated by LuLaroe by Becki Pollard. Speaking of Tee's we still have some left...let me know if you need any. So, on behalf of Kevin & Officer Mike Whitney & Max...THANK YOU ALL!!! For participating in this event you each helped Rotary Make a Difference!...please save September 22, 2018 for our next Poker Run!!! From the Ludlow Rotary Club, we would like to Thank you all of you who golfed, sponsored or volunteered at this year's Annual Golf Tournament. 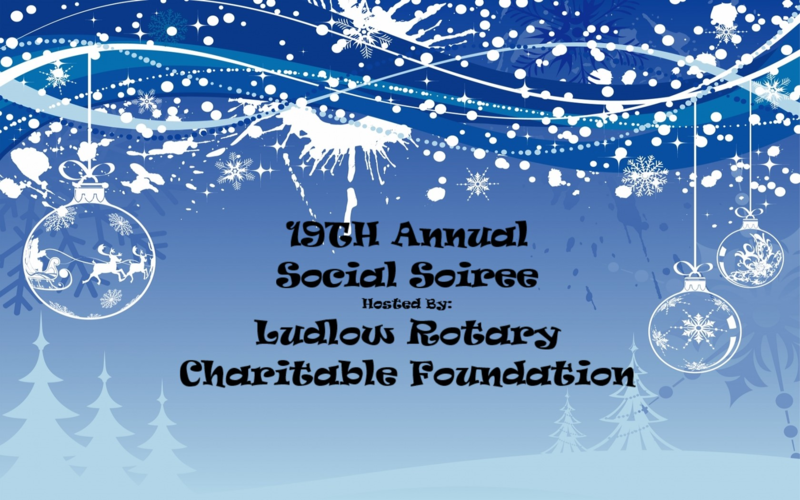 Through your donations Ludlow Rotary will once again have scholarship monies available in Spring 2018. From all of us at Ludlow Rotary, THANK YOU! The Ludlow Rotary Charitable Foundation Inc. will be holding its 10th Annual “Fore” The Students Golf Tournament on June 19, 2017 at Westover Golf Course. Registration is at 11 am, lunch to follow and shotgun start at 12 Noon. Dinner and Raffle will be held at the Villa Rose restaurant after the tournament ends. Proceeds from the tournament will go to benefit scholarships and educational programs in the community of Ludlow. Please join fellow residents, business colleagues and Rotarians as we come together for the students. For more information, to make a donation, or to sign up your foursome, please contact Tony Tavares at 413-547-6667. Santa and his horse drawn team will be making their way thru town collecting new, unwrapped toys for the ‘Toys for Tots’ program. We invite the neighbors of Ludlow to gather at designated stops on Santa’s route in the holiday spirit to donate toys to Santa and his helpers. When Santa has completed his trip around town and has collected all the toys from the good little girls and boys of Ludlow, he will be making his way to the Ludlow Town Hall on Chapin Street to light our town Christmas tree and join us in hot chocolate and Christmas caroling. So get your neighbors together and make it a joyful~spiritual time. Keith Ouellette & Mainely Drafts, we thank you and hope you will join us. 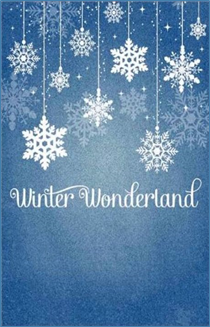 We also would like to wish you a very…MERRY CHRISTMAS! It's Poker Run Time Again! benefit the Ludlow Police Department K-9 Unit. Ludlow as we come together for the community. Mark Germain Named Rotarian of the Year! 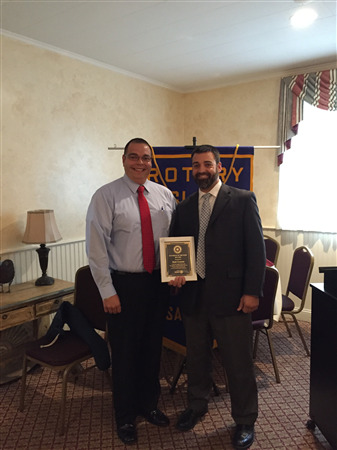 Recently the Ludlow Rotary named Mark Germain Rotarian of the Year. This award is presented each year to a deserving Rotarian who exemplifies our motto of "Service Above Self." We would all like to congratulate Mark on this achievement, and thank him again for his service to our club and community. The Ludlow Rotary Charitable Foundation Inc. will be holding its 9th Annual “Fore” The Students Golf Tournament on June 20, 2016 at Westover Golf Course. Registration is at 11 am, lunch to follow and shotgun start at 12 Noon. Dinner and Raffle will be held at the Villa Rose restaurant after the tournament ends. Proceeds from the tournament will go to benefit scholarships and educational programs in the community of Ludlow. Please join fellow residents, business colleagues and Rotarians as we come together for the students. For more information, to make a donation, or to sign up your foursome, please contact Tony Tavares at 413-547-6667. Help support the Ludlow Fire Department’s Fire Prevention program at Ludlow’s Elementary School by treating your Sweetheart to a relaxing night of dinner and dancing. 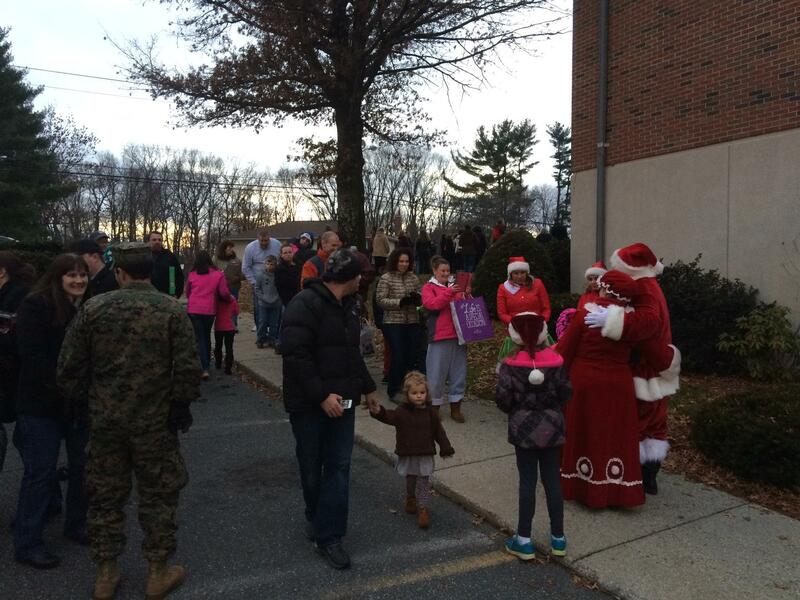 On Sunday December 19, 2014 Santa came to town. Mr. and Mrs. 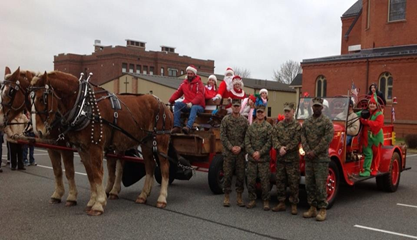 Clause came to Ludlow on a horse and carriage driven by Keith Ouellette. 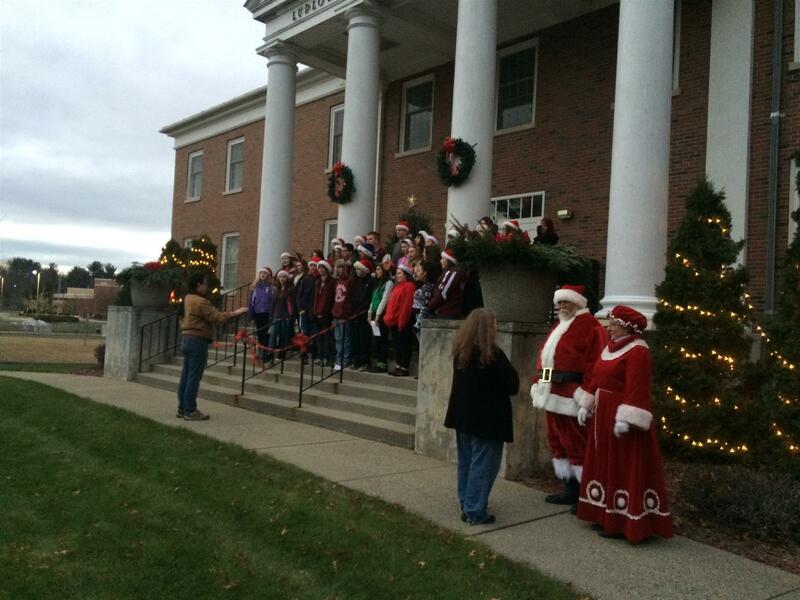 Oullette and Santa were joined by Rotarian and event organizer Gloria Faria, Robin "Elf" Wdowiak, School Committee member and organizer James "Chip" Harrington, Ludlow Rotarians and residents. 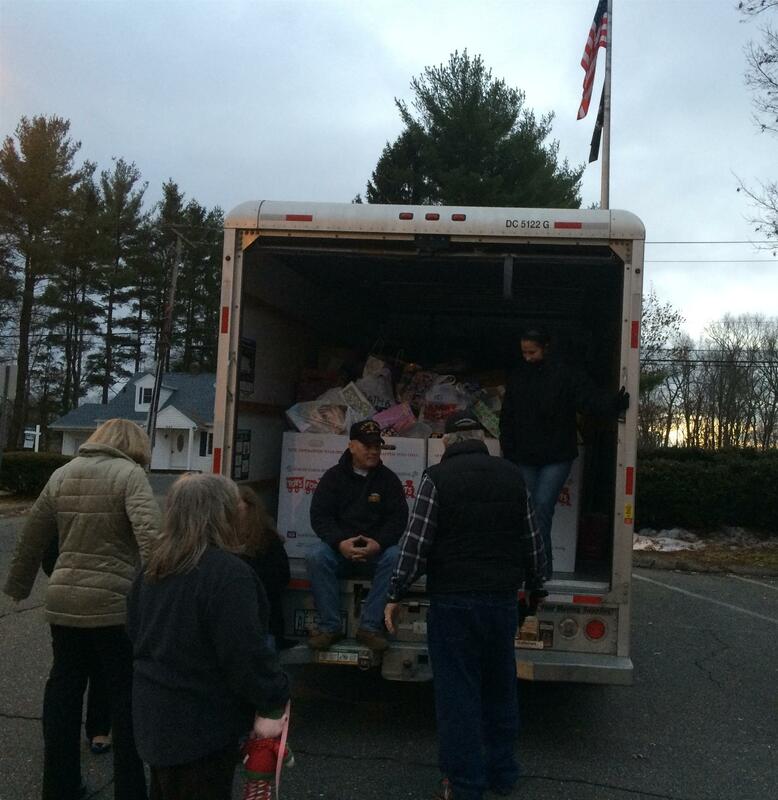 Rotarians and residents gathered at 7 stops throughout town to fill Santa's truck. Toys collected went to Toys for Tots. 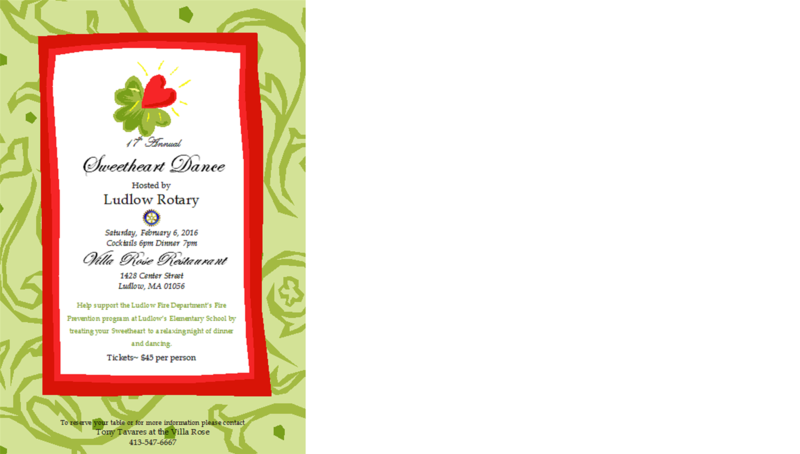 The dance will be held February 8, 2014 at the Villa Rose restaurant. Cocktails at 6pm, dinner at 7PM, followed by prizes and dancing. Tickets are $40.00 per person. 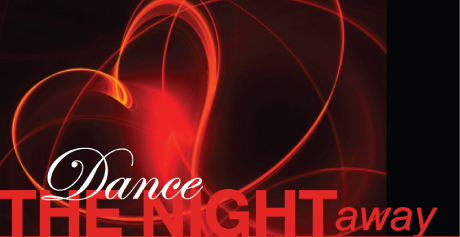 Give your sweetie the night off and join us and your friends for a magical evening of dancing. Proceeds from this event go to benefit the Ludlow Fire Department's fire prevention program. The program is put on at the three Elementary schools to teach children about fire prevention. The Rotary Club of Ludlow held it's 6th Annual “Fore” The Students Golf Tournament on June 10, 2013 at the Westover Golf Course. Registration and lunch was at 11 am with play immediately following. Proceeds from the tournament go to benefit scholarships and educational programs in the community of Ludlow. Thank you to all of the Rotarians, families, friends, residents and business colleagues for coming together for the students. This year's tournament was the most succesful one to date! Raymond Evans, 70, of Ludlow died peacefully on Sunday June 9, 2013 at Mercy Medical Center. Born in Springfield, Vermont on September 29, 1942, he was the son of the late John and Elizabeth (Williams) Evans. Ray grew up in Poultney, VT and graduated from Poultney High School and Chaplain College in Burlington. He was also a graduate of AIC in Springfield with a degree in Business Administration. He studied and was a program graduate at State University of N.Y., Buffalo; Stonier Graduate School of Banking (Rutgers University); and New England School of Banking (Williams College). Ray joined the U.S. Army in 1964 and served in the Army National Guard in VT and Chicopee, MA until he was honorably discharged as a SFC E7 in 1970. He worked for many years in banking and retired from T.D. Bank as Vice President in Commercial Lending. Ray was a civic leader and was dedicated to his community. He was currently a board member of the Westover Metropolitan Development Corporation, a member of the Ludlow Rotary Club, and District Treasurer for Rotary International District 7890, and volunteered his time at the Friends of the Senior Center in Ludlow. 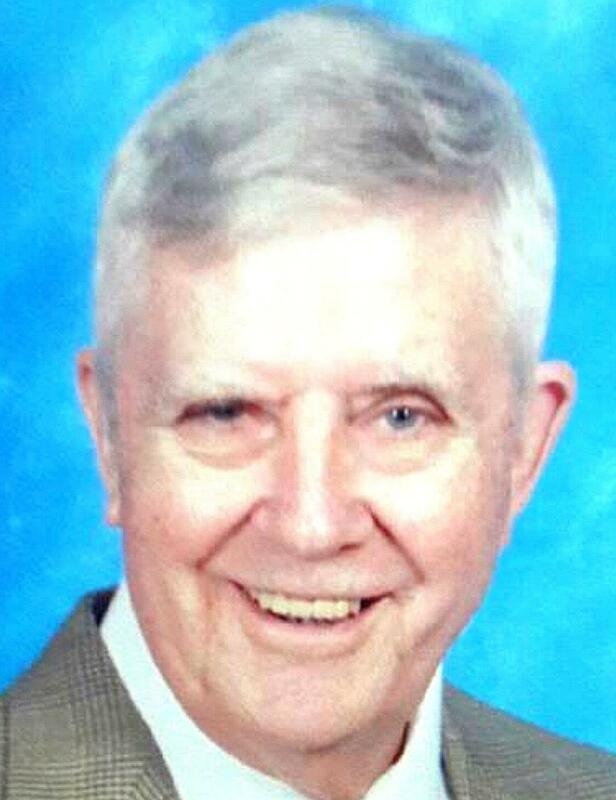 He was an avid golfer and had served as a Commissioner at the Westover Golf Course. He will truly be missed by his community and family. 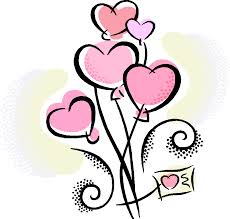 He leaves his beloved wife of 45 years Sandra L. (Worden) Evans of Ludlow; loving son Scott Evans of Westbrook, Maine as well as several cherished nieces and nephews, his sister-in law and brother-in-law Sue and Leo Isotalo in California and son-in-law Robert Scott in Maine. Sadly Ray was predeceased by his daughter Kara Evans-Scott in 2004. Funeral services with Military Honors will be held on Thursday June 13, 2013 from the Ludlow Funeral Home, 432 East Street, Ludlow, MA. Family and friends are asked to gather at the funeral home at 9:30am. Chapel services will begin at 10:00am followed by burial in Island Pond Cemetery. Visiting hours are Wednesday evening from 6:00pm-8:00pm at the funeral home. It was the wish of Ray’s family that in lieu of flowers donations may be made to: Kara L. Evans-Scott Memorial Fund, C/O Bernadette Nowakowski, Director of Development and Legacy Giving at Our Lady of the Elms College, Chicopee, MA. 01020. While the grant helps, Babineau said the program would not receive the funding it needs without help from the Ludlow Rotary Club. 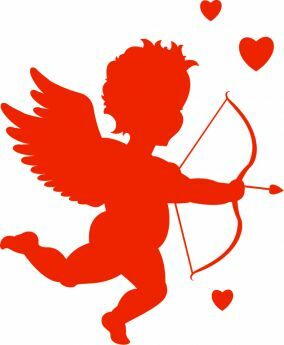 For the past 14 years, the Rotary Club has hosted a Valentine’s Sweetheart Dance, raising roughly $1,300 each year to purchase educational materials, including coloring books, pens, pencils, sharpeners, erasers and other school supplies that carry a fire safety message for school children. The Rotary Club’s financial assistance has also helped to provide programs at Ludlow preschools and Hubbard Memorial Library. Donations from the Rotary Club also help in the purchase of testing materials. 14th Annual Sweetheart Dance - SUCCESS! The 14th Annual Sweetheart Dance held at the Villa Rose on Saturday February 9th went off without a hitch. Even with two feet of snow the room was packed with Rotarians and community members to support this wonderful cause. As you know the proceeds form this event support the Ludlow Fire Department's fire prevention program at the Elementary schools. Congratulations to all of the prize winners and grand prize winners. Thank you to all that make and continue to make this event successful. From the wonderful sponsors to the volunteers, you make it special every year.